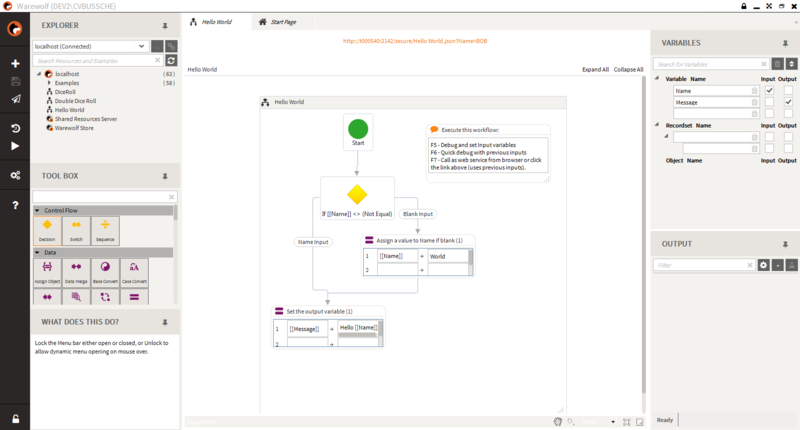 This article outlines the steps involved to build Warewolf from source, as well as execute it. You’ll be creating and using microservices in no time! Only one instance of the Warewolf Studio can run on a given machine, and only one instance of the Warewolf Server can run on a single port. 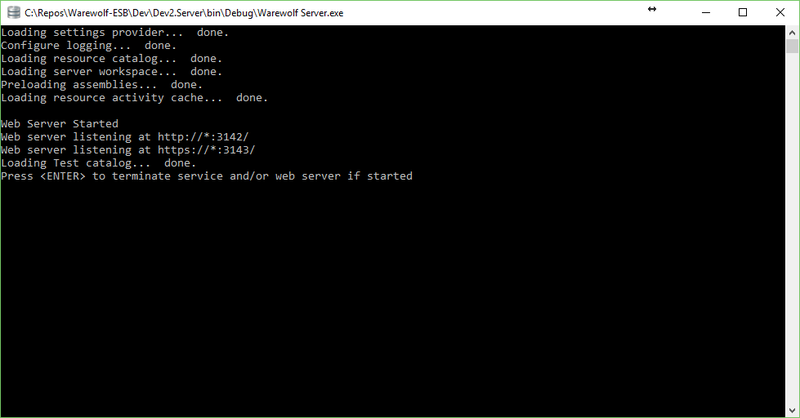 Therefore before attempting to build and run Warewolf for the first time, make sure the Warewolf Server is stopped and the Warewolf Studio is not running. The entirety of the Warewolf codebase is stored in the Warewolf Open Source GitHub Repository. The steps for getting the source code is outlined in the Getting Started: Getting the code article. Please also check the ‘Readme’ section on the GitHub site for updates on dependencies or tools required. The two main solutions required to build and execute Warewolf are Server.sln and Studio.sln. The files will be located in [[PathToGitHub]]\Dev\. Open both of these solutions in Visual Studio. Once the server has loaded; click on the start button in the Studio solution in Visual Studio. This will first display the studio splash screen and then bring up the Warewolf Studio as shown in the screenshot below. You have now successfully built Warewolf.